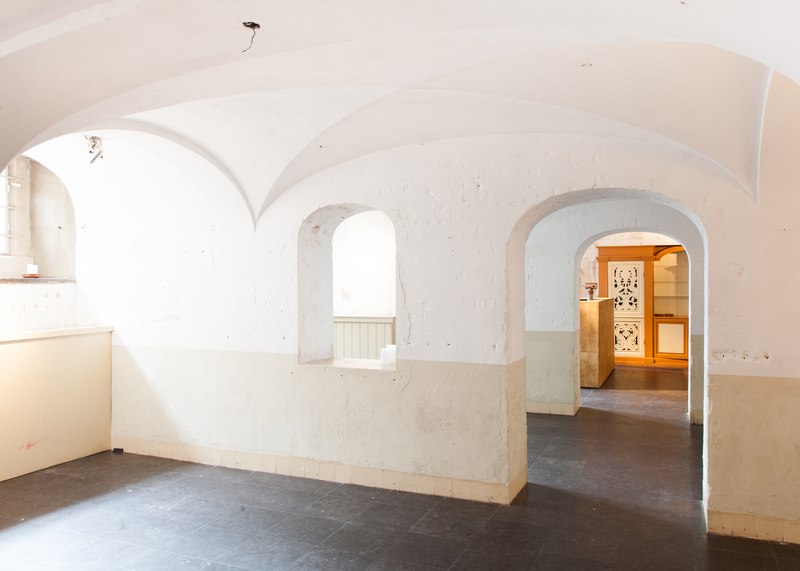 Our beautiful space was built in 1380 AD, and still has that authentic, underground feel to it. 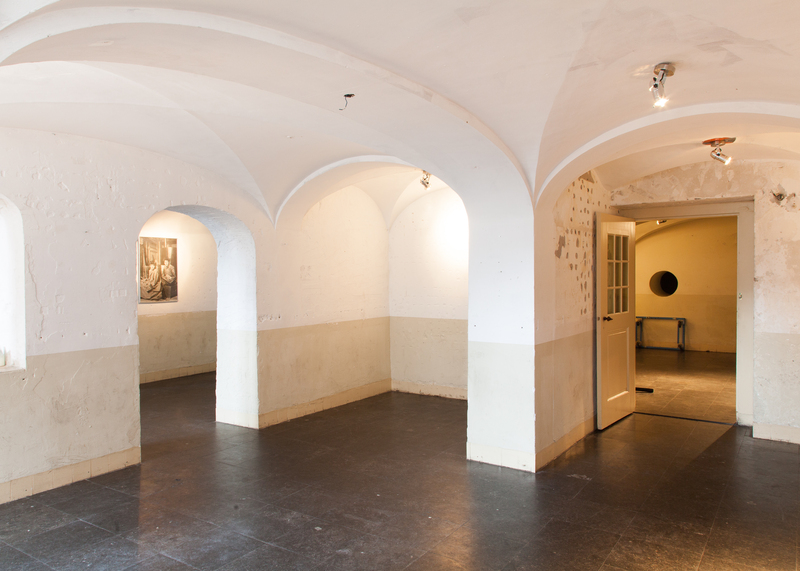 Parts or our building are still completely intact, like the jails across from the toilets in the Beergarden. 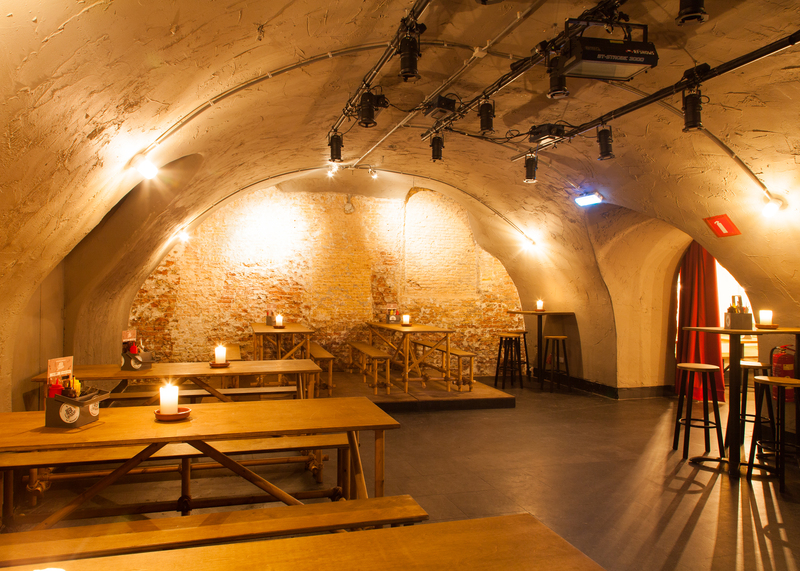 For hosting (private) events and parties we have two spaces available: the Kornuit Beerhall and the HOOP. 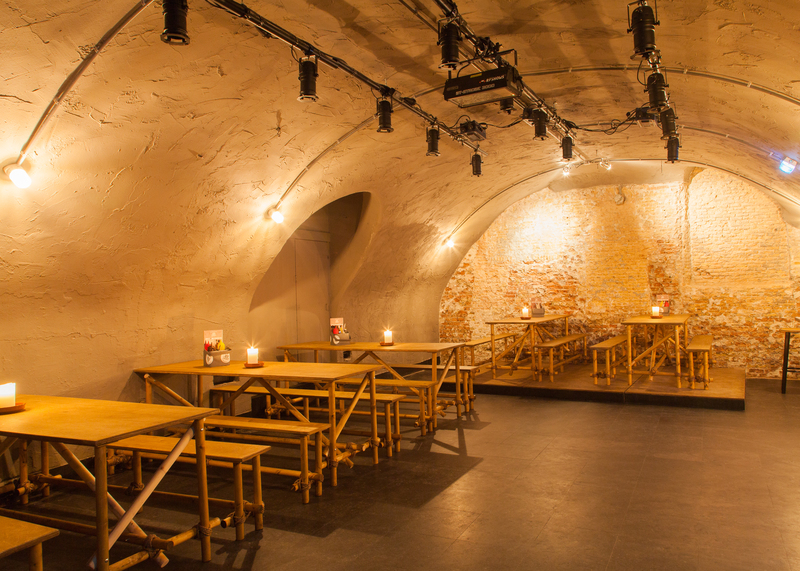 The Kornuit Beerhall is a semi-separate space which is available for parties and dinners. 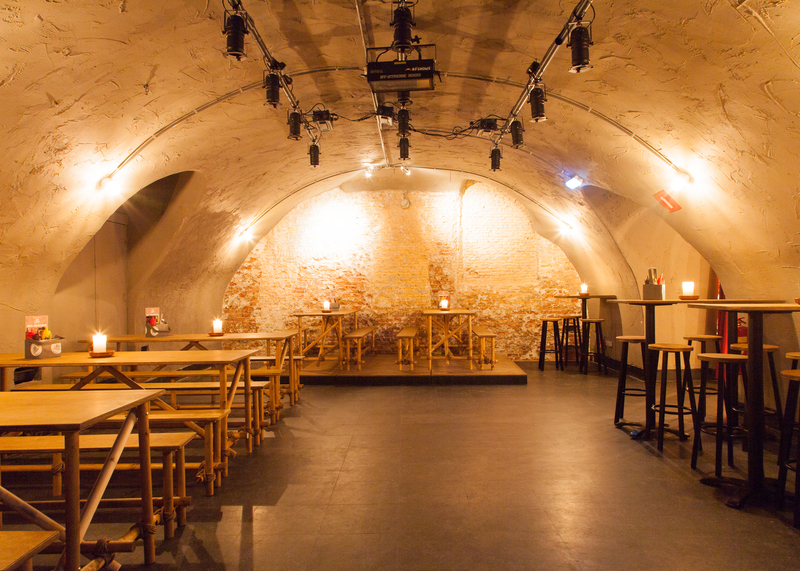 And every Friday and Saturday night we have DJ’s playing here! 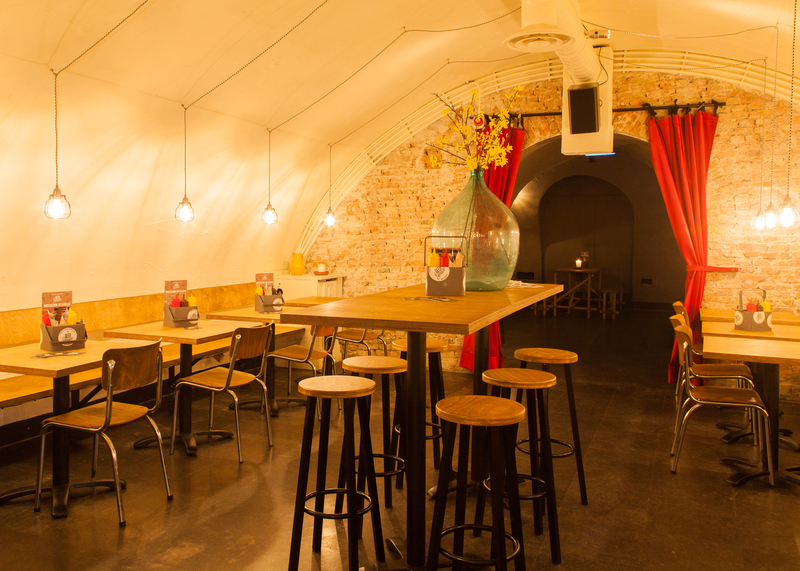 The HOOP is another space we offer, with private entrance, bar, toilets and cloakroom. 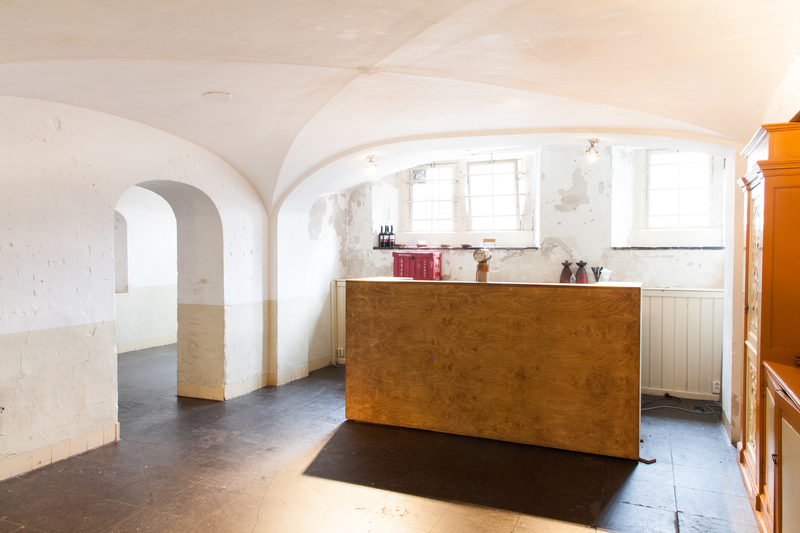 So if you are looking for a space for any group between 20 and 200 people, let us know! 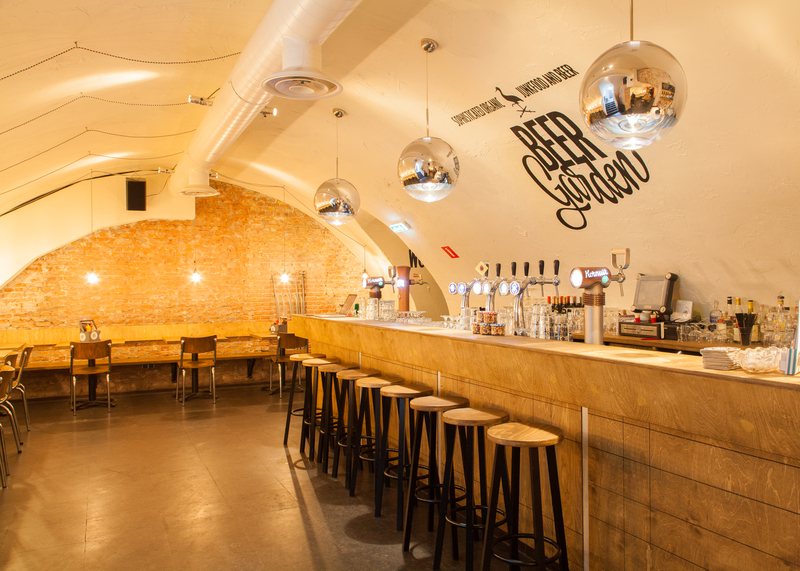 Enjoy all kinds of beers and other drinks at the Beergarden. 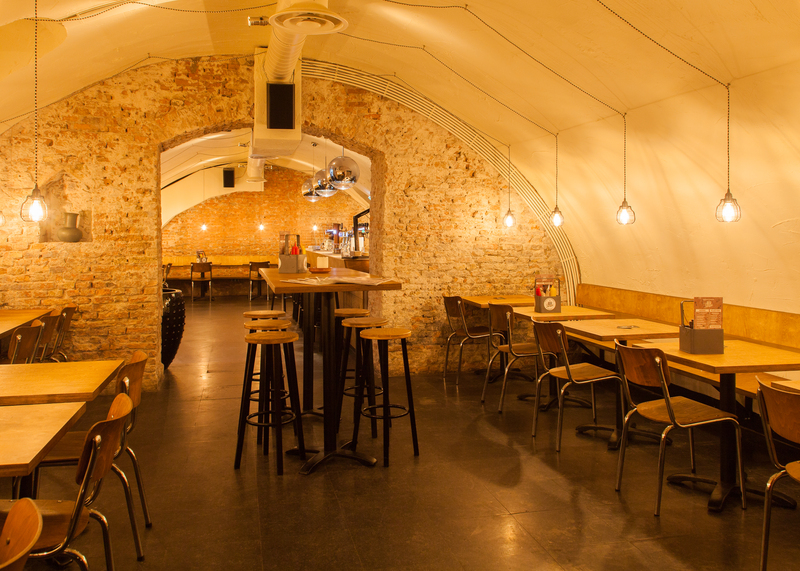 We have a large selection of craftbeers (on draft and bottled), some wines and a selection of gin & tonics. Obviously you don’t drink without something (small) to eat. We have a selection of our organic junkfood available as a snack.